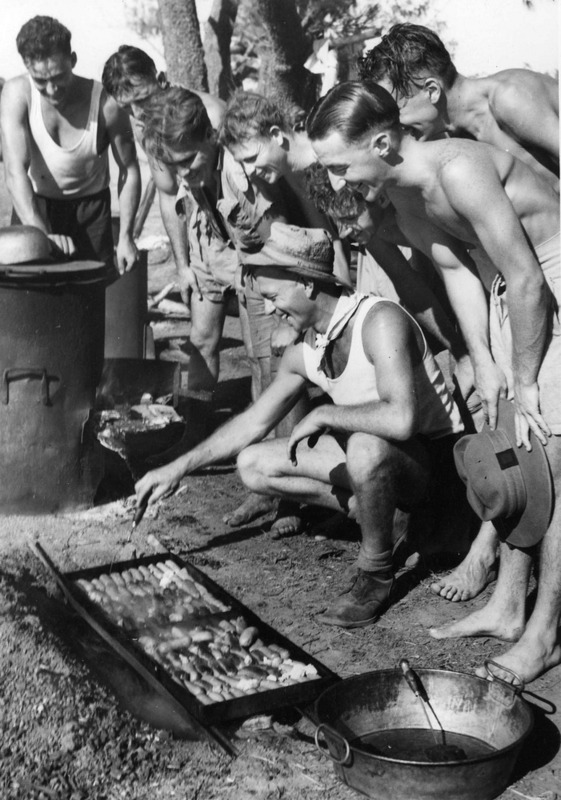 48 Mile was home to the 1st Field Regiment Royal Australian Artillery (AIF) sometime between 1943 and 1944. At present the unit colour patch is unknown and indeed information on this unit is hard to come by. All that is known is that they were camped in an area that encompassed part of 47.5 and 48.5 Mile areas. The unit were armed with the QF 25-pounder. 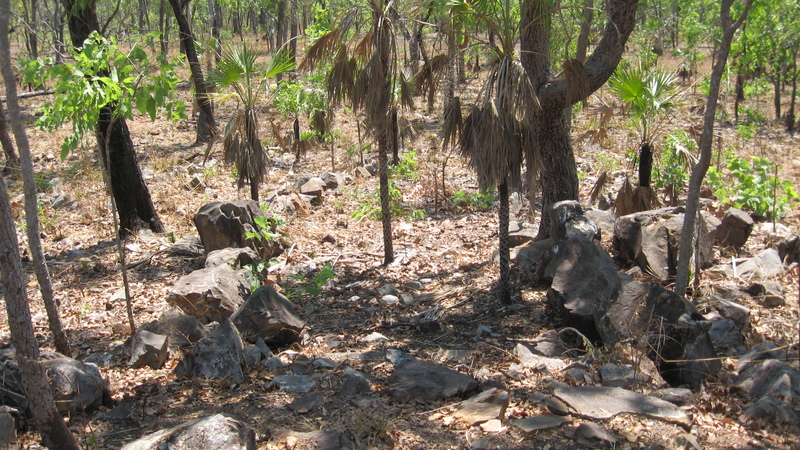 The site itself is situated on the start of a rocky outcrop and would have provided dry positions during the wet season due to natural run off. 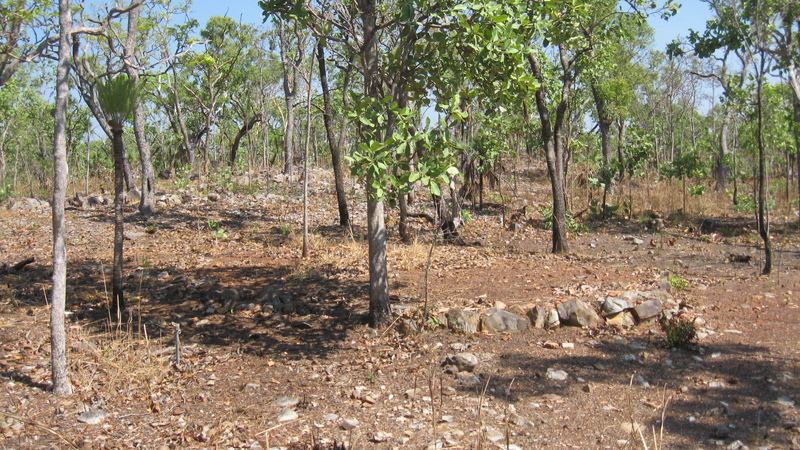 Indeed the main camp site area is situated on top of the highest point at this location and contains many pathways and drains constructed from local rock. This site like many others has suffered from damage over the years however. 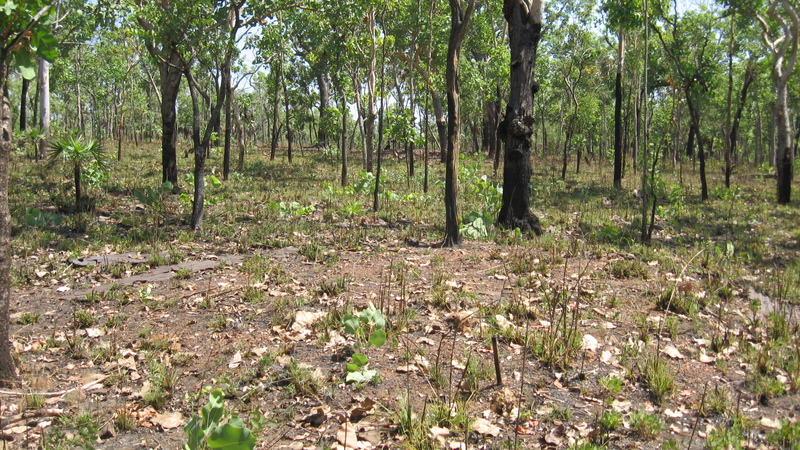 Clearance for a boundary fence, that has long since disappeared, passes right through the center of the main camp area and has destroyed and damaged many tent and building sites. Despite this, the site still contains many tent, building and maintenance foundations and terraces. It also contains fireplaces, showers (pictured above), the remains of garden terraces, stone pathways, vehicle parking areas and at least one bore. 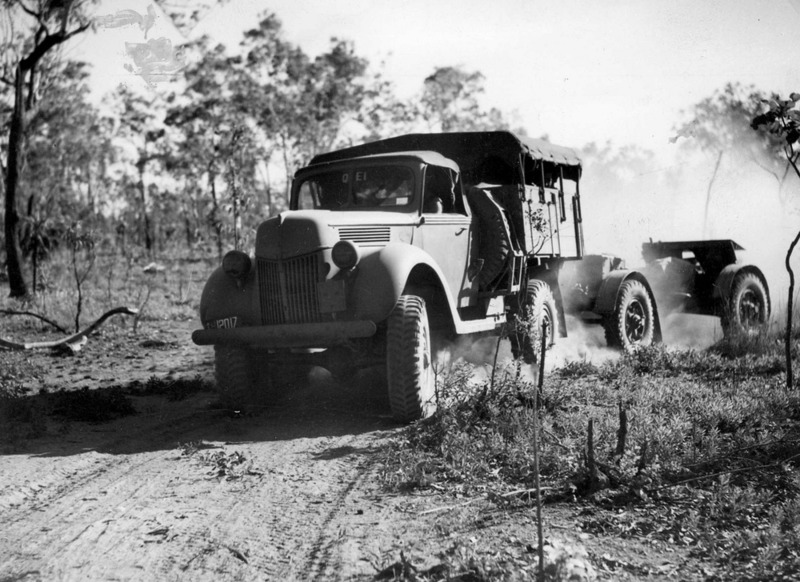 A 1941 Ford V8 4×2 towing a limbered-up 18 Pounder through the scrub somewhere in the NT. Note vehicle unit sign-slotted plate at front of the vehicle has been removed for press photo. Note also the commonwealth number plate with red C and white numbers. Australian R.A.A. 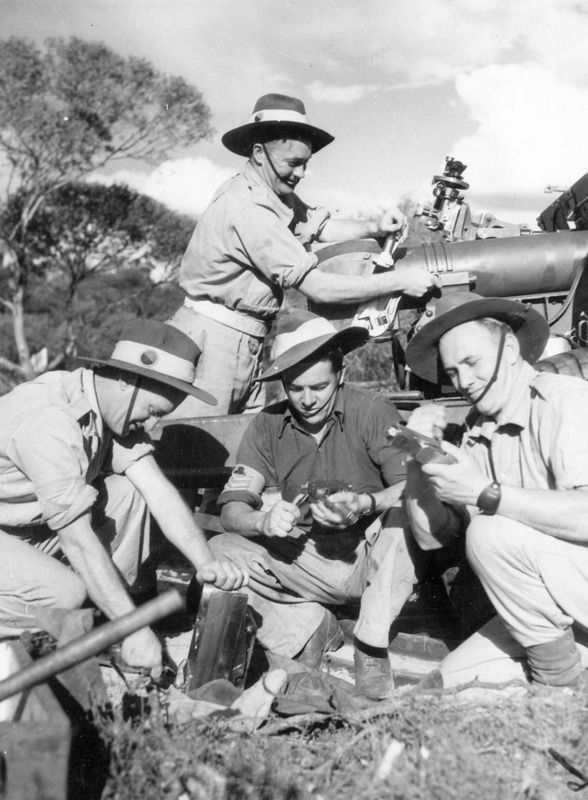 troops service a 25-pounder somewhere in Australia. 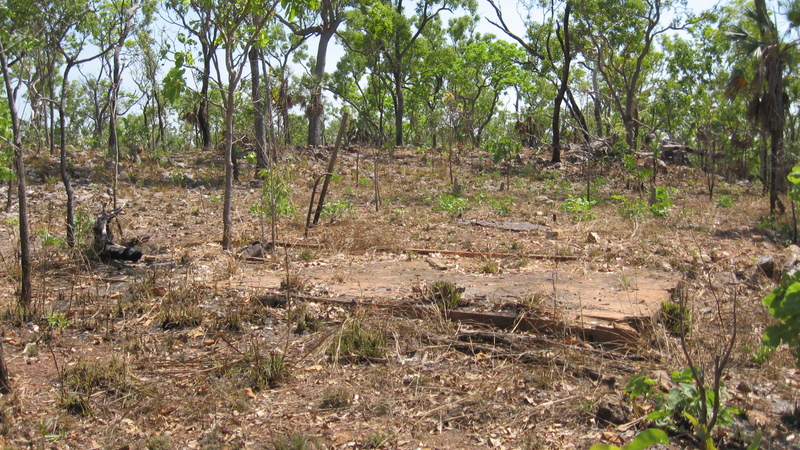 The remains of a tent site located on the slope of the rocky outcrop. Remains of a building sight located at the bottom of the rocky outcrop. Sheets of tin from the roof still litter the site. This particular area is a little swampy during the wet season due to the run off higher up the hill and hence the foundation has been raised considerably. Looking down a pathway from the rocky outcrop. There are a number of stone pathways at the site. The majority of which lead to the top of the rocky outcrop where no doubt the officers would have camped. 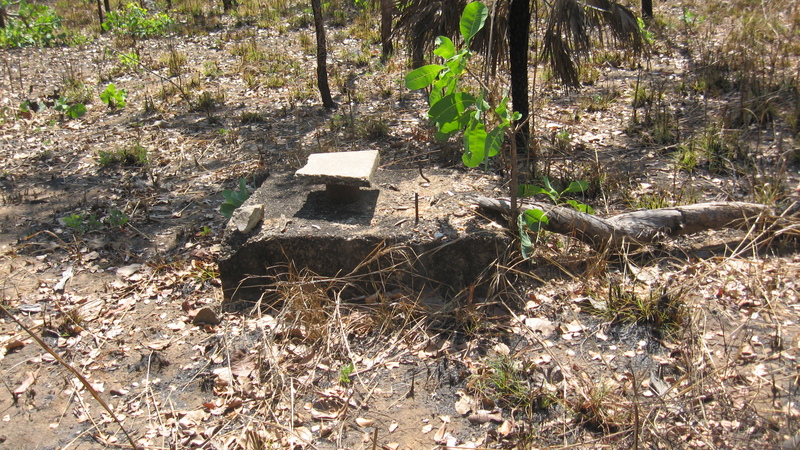 There is at least one bore located at the site, the remains of which are located at the northern edge of the camp site. The bore itself is capped with concrete and contains a metal tube in the center. Bolts for the pump are located within the concrete block covering the bore. The site contains an abundance of small fireplaces used for cooking. Normally fire of any kind was not prohibited to be exposed to the sky and the many open fireplaces located at this site is curious to say the least. Most cooking was done using kerosene burners like the All of these fireplaces are constructed of local rock and are in a half-rectangle configuration. Most are located next to building or tent sites. 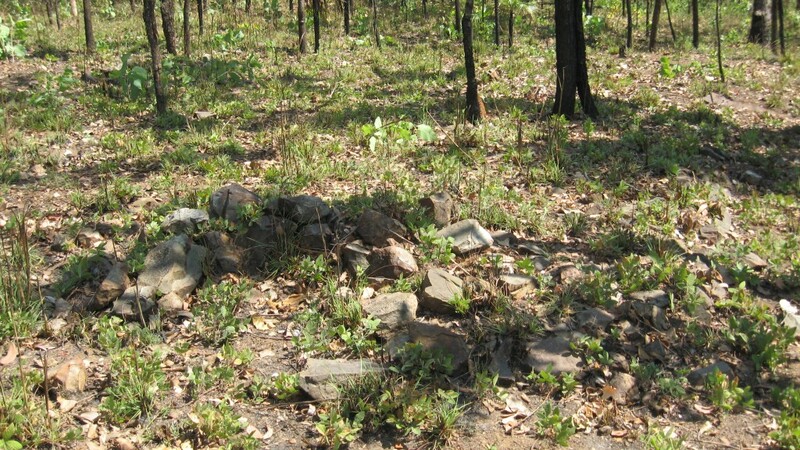 Remains of a fireplace located next to a tent site.